Glioma is among the most common human malignancies with poor prognosis. Glioma stem cells (GSCs) are the culprit of glioma, suggesting that GSCs are potential therapeutic targets. Notch signaling pathway plays a pivotal role for the function of GSCs, implying that suppression of Notch pathway may be an effective strategy for GSC-targeting therapy. In this study, we found that alpinetin, a natural compound, can suppress the proliferation and invasiveness of GSCs and induce apoptosis in GSCs. Immunoblot analysis and luciferase assay revealed that Notch signaling was suppressed by alpinetin. Furthermore, restoration of Notch signaling activity rescued the effect of alpinetin on GSC’s function. 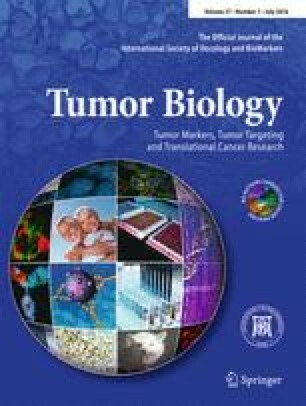 The anti-tumor activity of alpinetin was further confirmed in an animal model. Collectively, targeting of GSC by alpinetin is an effective strategy for glioma therapy. This study was supported by the Scientific Research Fund for Excellent Youth in the Affiliated Hospital of Qingdao University (No. 201506).